PLACENTIA, Calif. (KABC) -- Authorities arrested a 22-year-old Fullerton man Saturday on suspicion of committing several residential burglaries in Placentia, with some involving people still being inside the home at the time of the crime. Within the last couple of months, authorities said several burglaries occurred in a neighborhood around Bradford and Madison avenues. Some of those burglaries were hot prowls, or burglaries committed when residents were still inside the home. Around 2:27 a.m., a resident called police reporting a man in her backyard in the 1000 block of Lawanda Place. She said the man was in her backyard, but then he ran away and left his bicycle in her front yard. Officers arrived at the scene and searched the area for the man, but did not find him. Another officer parked an unmarked police car in the area in an attempt to see if the suspect would return for his bike. Authorities said around 4:20 a.m., a man returned to get his bike and tried to ride away with it. Officers attempted to stop him, but the man fled on foot. He was chased through several backyards before he was eventually caught. The man fought with police officers, even biting a sergeant's finger. A Taser was used to subdue him. He was arrested on suspicion of prowling, resisting arrest with force and violence, battery on a police officer, possession of stolen property and possession of a controlled substance and drug paraphernalia. The suspect later admitted to detectives that he had committed at least one burglary in which a resident was inside the house during the crime. Authorities added first-degree residential burglary to charges he could face. Later in the afternoon, authorities searched the man's home in the 300 block of Garnet Lane in Fullerton, where they found several pieces of stolen property from homes in the area. 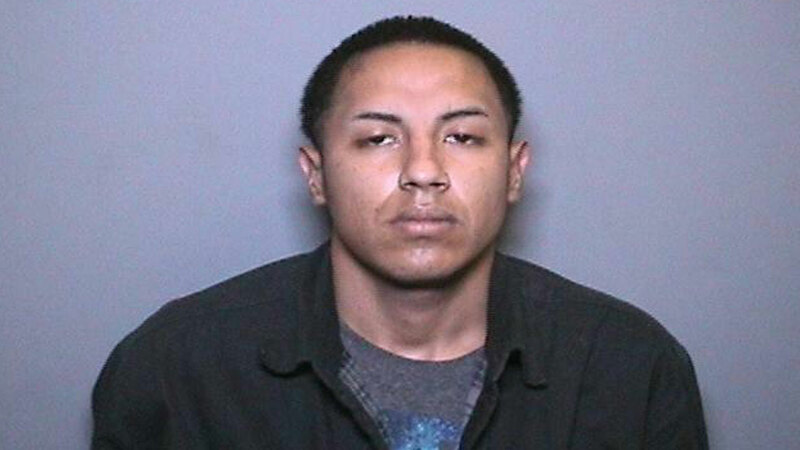 The suspect, identified as Martin Lopez, was booked into Orange County Jail in lieu of $50,000 bail. Anyone with more information was asked to call the Placentia Police Department at (7140 993-8146. Those wishing to remain anonymous may call OC Crime Stoppers at (855) TIP-OCCS.